October 31, 2018	 8th Ukraine Breakfast Debate: Ukraine’s approach towards NATO: pre-electoral tool or strategic security objective? 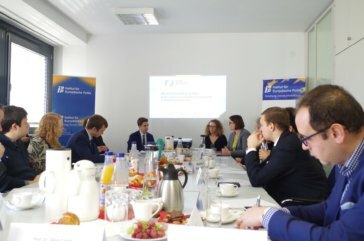 The eighth Ukraine Breakfast Debate within the project “Platform for Analytics and Intercultural Communication” (PAIC) took place on October 31, 2018 at the Institute for European Politics in Berlin. Ruslan Kermach from the Ilko Kucheriv Democratic Initiatives Foundation presented on the topic “Ukraine’s approach towards NATO: pre-electoral tool or strategic security objective”. As first overview, Ruslan Kermach outlined the main cornerstones of Ukraine’s rapprochement towards NATO since its independence in 1991. Despite some key developments in the country’s rapprochement to NATO until 2014, Kermach argued that this approximation process had been considerably incoherent due to the highly diverging opinions and strategies within the Ukrainian political elite on this issue. A long-term opinion poll which has been regularly conducted between 2007 and 2018 on Ukraine’s public stance towards its security policy orientation shows clearly that a non-bloc status was the most favoured option prior to the Revolution of Dignity in 2014. However, this opinion severely diminished in the aftermath of the revolution which can be associated with the annexation of Crimea by the Russian Federation as well as by the outbreak of the ongoing armed conflict in Eastern Ukraine. Correspondingly, the support for an alignment with an Eurasian security vector fell sharply and has been sinking gradually ever since whereas a growing support for Euro-Atlantic integration is observable since 2014. Subsequently, Kermach shed light on the regional differences within the support for NATO integration and stressed that a clear cleavage between the Western regions of Ukraine and the Eastern and Southern ones can be observed. According to the polls, the Western regions favour more strongly a joining of NATO while the South-Eastern regions stand in majority behind a non-aligned status. In the light of the upcoming elections in 2019, Kermach underlined that the topic of NATO-integration will most likely not play a decisive role in the electoral campaigns. However, he stressed that this question could be potentially instrumentalised in the regions which are supportive of Euro-Atlantic cooperation. Furthermore, related to the presidential elections it is highly unlikely that a candidate will oppose the general Euro-Atlantic integration process in Ukraine. In the event of a related referendum (which was announced by Poroshenko in 2017), more than two thirds of respondents indicated that they would vote in favour of the country’s NATO accession. Despite these positive figures, Kermach pointed out the significant mobilization force of political adversaries that are not favouring a further NATO rapprochement. Furthermore, Kermach regretted the lack of public awareness and knowledge on NATO and its general organisational and decision-making structures, and highlighted the need for coherent information campaigns in the regions. That must in particular be the case, as NATO accession, according to Kermach, is the “only viable security option for Ukraine at the current stage”, due to the country’s geopolitical situation. In the following discussion, the participants of the Ukraine Breakfast Debate were mainly interested in NATO’s interest in the rapprochement with Ukraine as well as the willingness of specific NATO member states to reinforce Ukrainian accession process. Ruslan Kermach is a political analyst at the Ilko Kucheriv Democratic Initiatives Foundation. Founded in 1992, the aim of the organisation is the reinforcement of Ukraine’s integration into European and Euro-Atlantic structures. Today, DIF is one of Ukraine’s leading think tanks. Its focus lays mainly on research of main trends in public opinion, conducting exit polls, developing reasonable recommendations in the sphere of democratic transformations and Ukraine’s European integration for decision makers and civil society representatives. The Ukraine Breakfast Debates take place within the framework of the project “Platform for Analytics and Intercultural Communication” (PAIC) and are designed as Ukraine expert talks on topical and relevant issues, which are discussed with our guests over croissants and coffee. 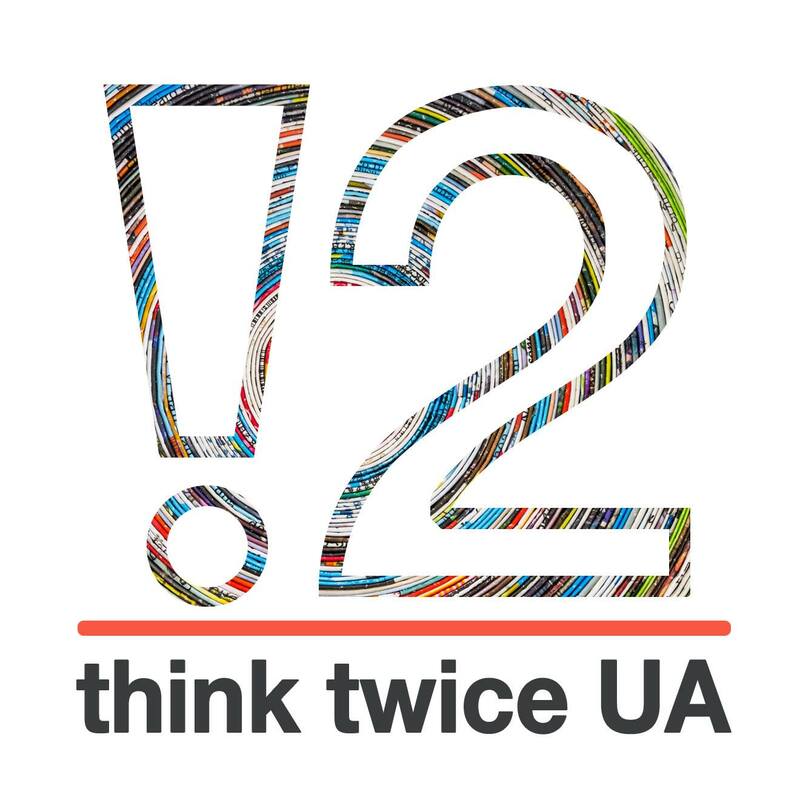 The project “Platform for Analytics and Intercultural Communication” (PAIC) aims at supporting the Ukrainian think tank landscape as well as fostering the exchange between German and Ukrainian research institutions. The project is implemented by the Institute for European Politics (IEP, Berlin) in cooperation the Ilko Kucheriv Democratic Initiatives Foundation (DIF, Kyiv) and the think tank-initiative „think twice UA“ (Kyiv) and with the kind support of the Federal Foreign Office. Further information on the public opinion poll of DIF: Kermach, R. (2017): Attitudes of Ukrainians Towards NATO: Recent trends, hidden motivations and tasks for the future. Ilko Kucheriv Democratic Initiatives Foundation.